Went back to the mall again and found this in the stack of Bootleg Gundams I had seen previously. I guess if you have no conscience to prevent you from pirating Bandai's Gundams, what's to stop you from counterfeiting its other accessories? 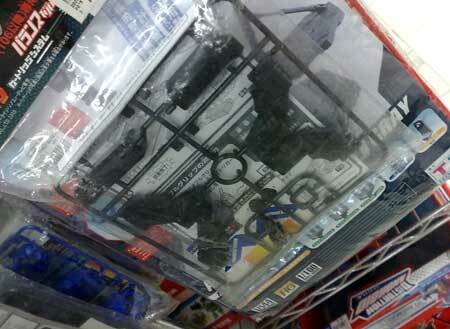 They are actually copying now the Action Base Stands sold by Bandai to help display Gunpla's. 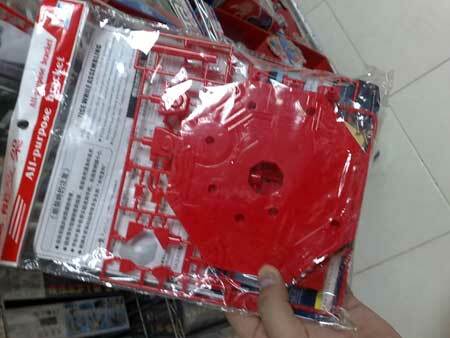 This particular one was molded with the color red, it costs about 350 yen . Once again it is branded as "Hong Li" and definitely looks ugly because the plastic looks cheap. 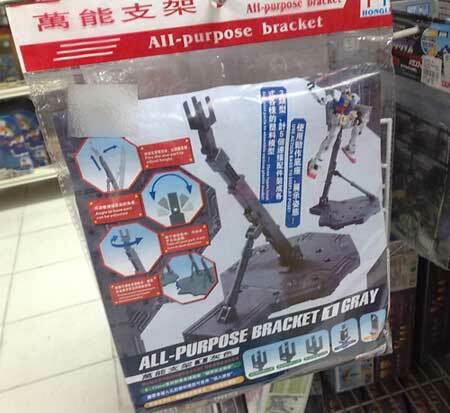 It was also renamed to "All-Purpose Bracket", instead of branding it as an Action-Base. The genuine Bandai stand retails for about 550 yen at HLJ but because of shipping can almost double in cost. Aside from the stands there were also accessories being sold at the store for Gundams. Don't know exactly what this was but it was built for HG Gundams.